I'm so thrilled to announce that I will be serving as a 2017 Bondi Band Ambassador! I have been wearing these non-slip headbands since my first marathon in 2008 and am addicted to the fashion and functionality. And, now I get to offer 10% off to YOU! Just visit the link below and enter the discount code! Pick a topic. Then think of everything you can for one minute that starts with that letter. Great topics include foods, animals, brands, celebrities. Best done with a running buddy! Always follow with five minutes of stretching. I have a few special treadmill timeslots available in March. Pass this information along to your spouse - or purchase a package for yourself! Chocolate and flowers aren't going to get you to your goals anyway!! 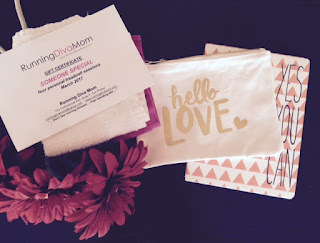 Email me at runningdivamom@yahoo.com to place your order! I'm always running around town in my messy bun and my sweaty running gear, with an over-flowing diaper bag in a dirty minivan with a to do list a mile long. (run-on sentence much?!) I love having running tunes that I can relate to and that motivate me to be a strong(er) woman. 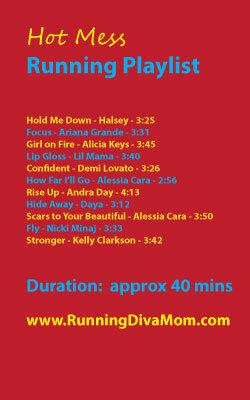 This collection of eleven songs will push your limits as a runner and a multi-taskin' mama during that next 5K. If you're like me, sometimes you get tired of running to the same Top Fourty tunes that are on the radio. Sometimes I really enjoy finding a new artist with lyrics that motivate me or a beat that moves me. Here is a collection of eleven songs that you may or may not have heard before. But, each song is sure to help you rock your next three to five miles. 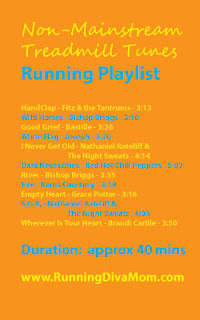 Before you struggle through that next treadmill run, try mixing up your tunes. 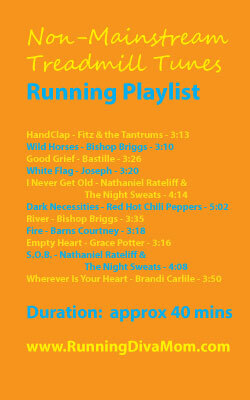 I've assembled a list of some of my favorite running tunes with a super, fun beat. Sometimes I feel like I'm dancing on the treadmill with these songs. Ok, maybe I am! 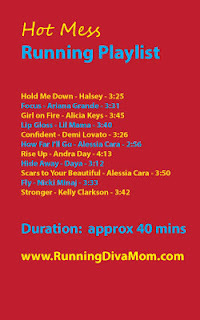 Moms (and non-moms) will love this thirty minute playlist. Hey, let's face it ... sometimes we only have thirty minutes to squeeze in for ourselves at naptime or during soccer practice. No fear! 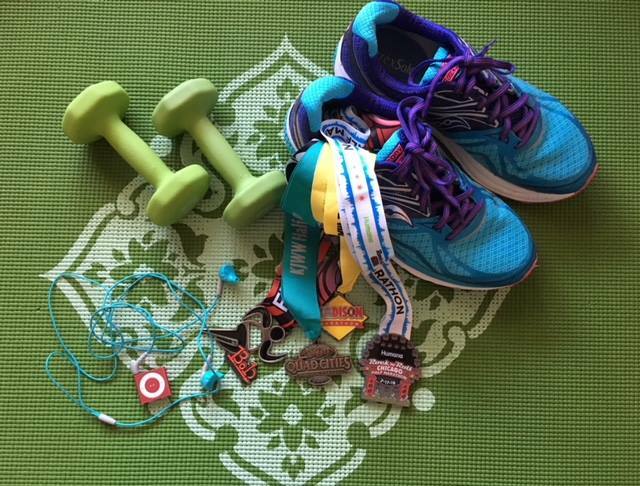 A half hour and a plan are all you need to get your sweaty glow on and decompress over a quick run. 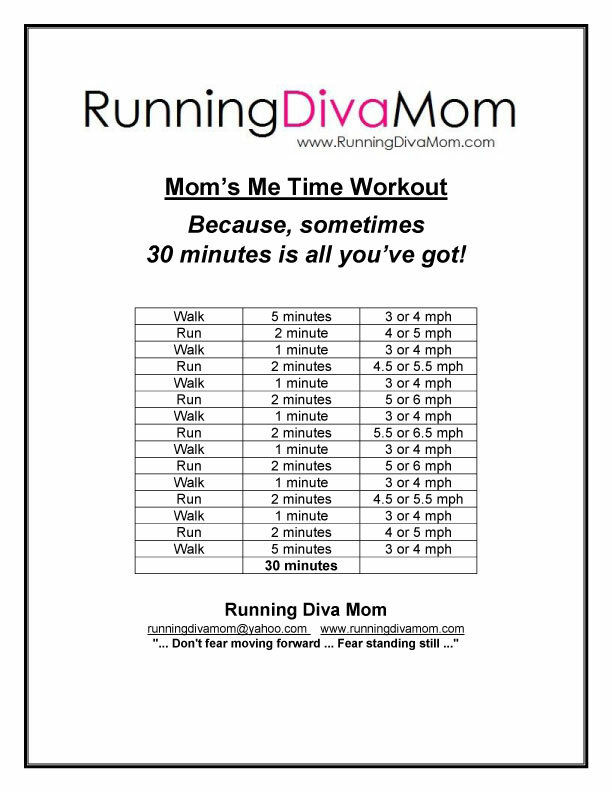 Try this 'Mom's Me Time Workout' the next time you are headed downstairs to the treadmill or to the gym for a quick in-and-out treadmill session. Because, sometimes thirty minutes is all you've got! And don't forget to stretch for five quick minutes after you've hit stop. I promise I won't judge if you're stretching while making dinner or folding laundry. Why Choose Running Diva Mom? Selecting a running coach is a personal decision. And I want to make it easy for you. 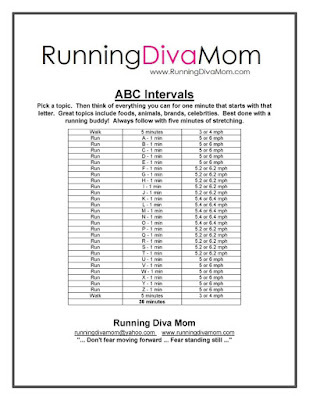 Running Diva Mom is a unique and more personalized approach to running. I can relate to you, your goals and your struggles. 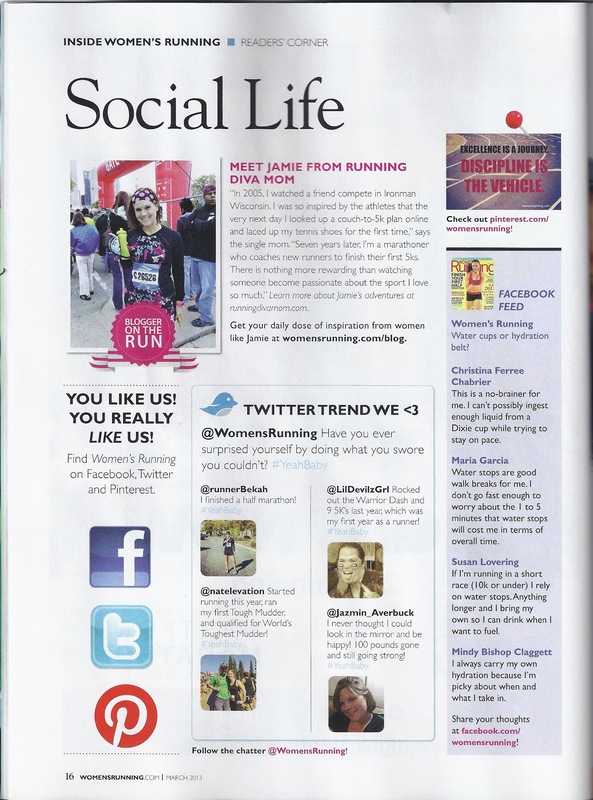 I am passionate about running and am a Road Runners Club of America certified coach. And, I love to share my enthusiasm and commitment to the sport. 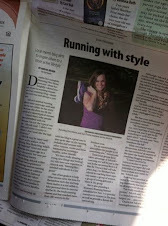 I have been running for more than a decade. 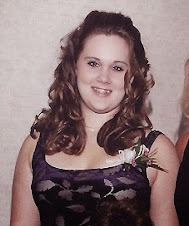 But, that also means that there were twenty-five years of my life when I was inactive and battled with my weight. 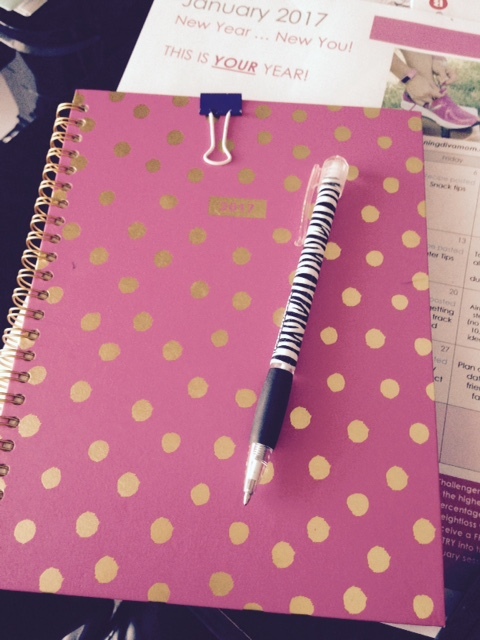 I understand that making a lifestyle change is a choice – and that it isn’t always easy. I am a middle-of-the-pack runner and love the journey. With that said, I have completed more than fifty half marathons and twelve full marathons. 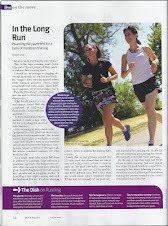 I have shared my passion and lead more than 600 women and children through my running programs. I have often been described as a “gentle encourager” and love motivating my clients in a positive way as they accomplish their goals. When selecting me as your personal coach, you will receive one-on-one individualized coaching. Personal coaching is done in a personal and private setting – via goal setting sessions, training runs, text and email support. 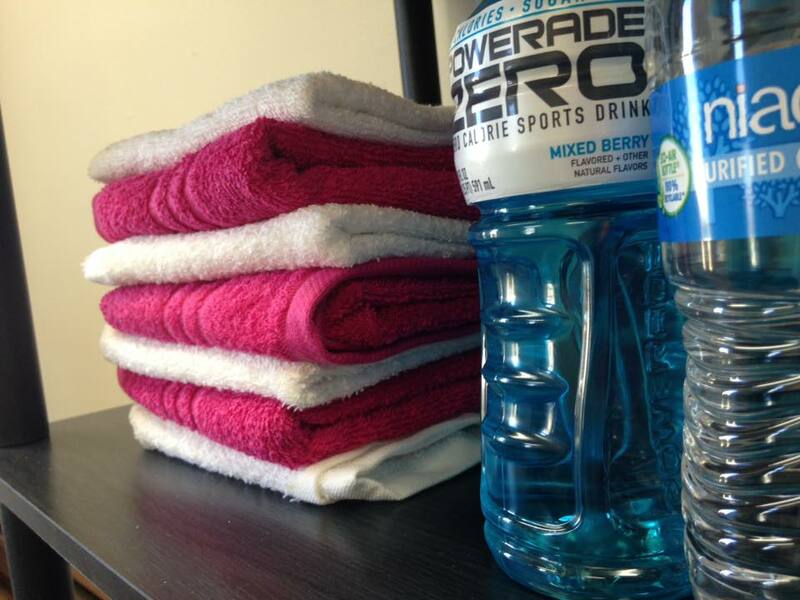 Like myself, my clients are not typically “natural athletes”. Many are mothers or busy women who struggle to fit in time for themselves around daily scheduling obstacles. 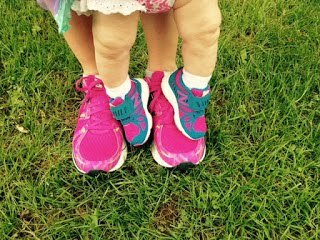 As a busy mom of three, I know how easy it is to lose YOU in your family’s routine. I develop my clients’ custom training programs around their life – not the other way around. If you need an accountability partner or some guidance, I would love to help you reach your goals. 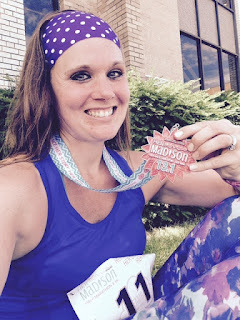 Please contact me at runningdivamom@yahoo.com to complete your custom training program survey. 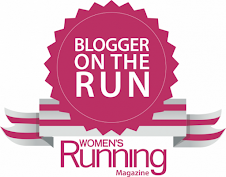 This womens running group is a great option for someone who has completed a 5K or two but isn't really interested in pursuing longer distances - such as a 10K or half marathon. This class will help you continue to fit running into your routine, while we complete longer run/walk intervals at our own pace for four weeks. A training program will be provided with three workouts per week. The group will run together once per week. Jogging strollers welcome. 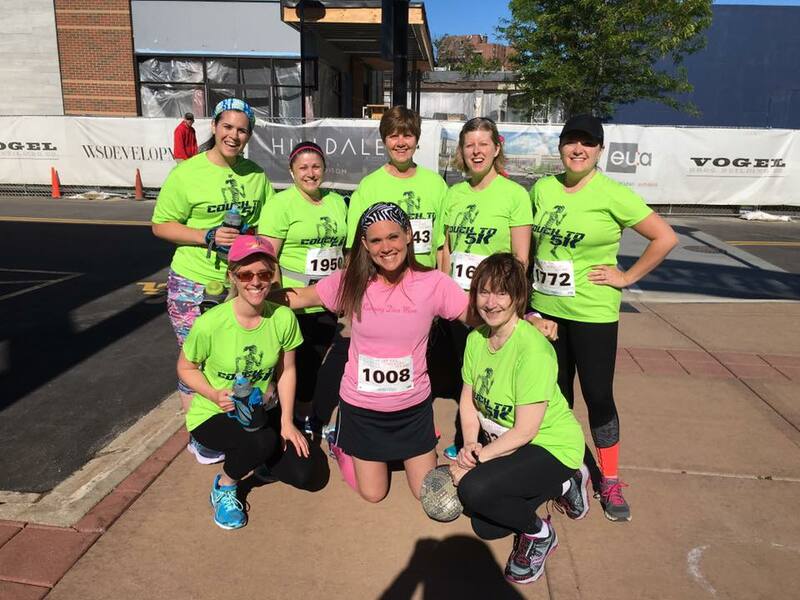 The group will be training for the Her Half Marathon 5K on Sunday, June 25 at Hilldale Mall in Madison. There are two session options for this four week class. First sessions are at Orfan Park in Sun Prairie. Parks/locations rotate. Please contact me at runningdivamom@yahoo.com if you would like to pay by personal check. Lose 5-10 lbs & move every day in February! --> Do you need a little motivation/routine to get your workouts in regularly? --> Would you like accountability to lose five to ten pounds? Do you have a friend that could use a little motivation, too? Your friend gets to participate with you for FREE this month. It's time to team up and give back to someone that could use this! 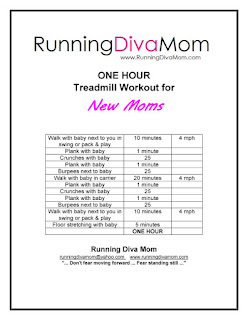 Just email their name and email address to runningdivamom@yahoo.com after your session fee is paid. Participants will be entered into a drawing for a FREE entry into the March accountability group! A slower 2017 in snapshots. 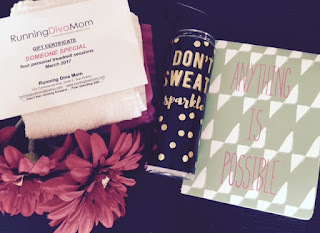 I will still be writing about my running adventures on Running Diva Mom this year. But I also want to share my desire to focus and improve on other areas and relationships in my life in 2017. I'm really hoping to turn off all devices and social media by 8:00 pm. Unanswered texts and emails can always wait until the morning. And no one is going to worry if I don't like their social media post. I always pile my kids in bed for reading time at 8:00, followed by bed time. I'm hoping to use my final hour of the day from 9:00-10:00 as quiet time for myself and for us as a couple. This time will be used to journal, read, shower and hopefully get a few more minutes of shut-eye. My husband and I also enjoy having financial and planning dates. So I hope to have more of these too. These are great times to connect and talk about our day without interruptions, plan our week, discuss races, schedule family vacations and get excited about upcoming events. I thoroughly enjoy getting up early - to work, run and coach. I am most productive from 5:00-9:00 am. I am most creative from 10:00 am -1:00 pm. Learning these things about myself and being aware of these peak hours, I'm hoping to design the best routine as possible to make me the strongest mother, wife and coach possible. I also want to be honest and good to myself. 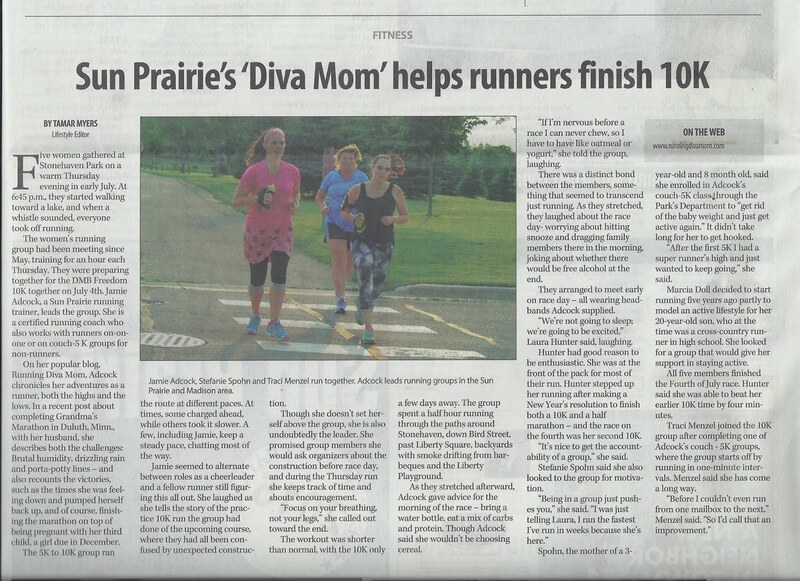 I will be posting daily images of my real-life accomplishments and struggles on the Running Diva Mom Facebook page. It can be very difficult to find "me time" during our busy days as moms and parents. I have found that I really need to schedule and plan my workouts around our busy schedule and routine. If I think I'm just going to workout when I want to workout - chances are it isn't going to happen. Sometimes a nap doesn't last as long as I think it will. And sometimes my little one is fussier and curious than normal. If I want to get in a few miles by myself or with a client, I often have my little one next to me in a pack and play or toy. This was easier to accomplish when she was an infant. But, now as a toddler, she is more mobile and more interested in what I am doing. She will typically occupy herself for 1-2 miles; sometimes 3-4. But typically her curiosity causes her to want to be included in my workout. It's not that she wants me to stop what I'm doing. She just loves being a part of it. I've often taken her out of the pack and play and strapped her on me in the baby carrier. Walking at a slow pace, I've always felt comfortable walking with her - just like outdoors. 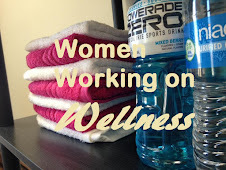 Most of my clients are mothers or parents and enjoy having her be a part of our fitness routine. Below is an easy workout that you and your baby can do together. It incorporates some power-walking as well as some core workout and stretching with your baby. 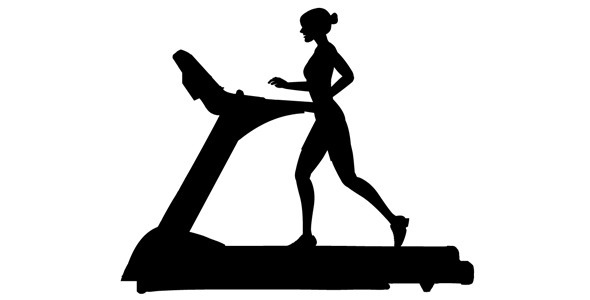 If 4 MPH is too fast for you right now, you can simply adjust the treadmill pace on this routine to 3 or 3.5 MPH. 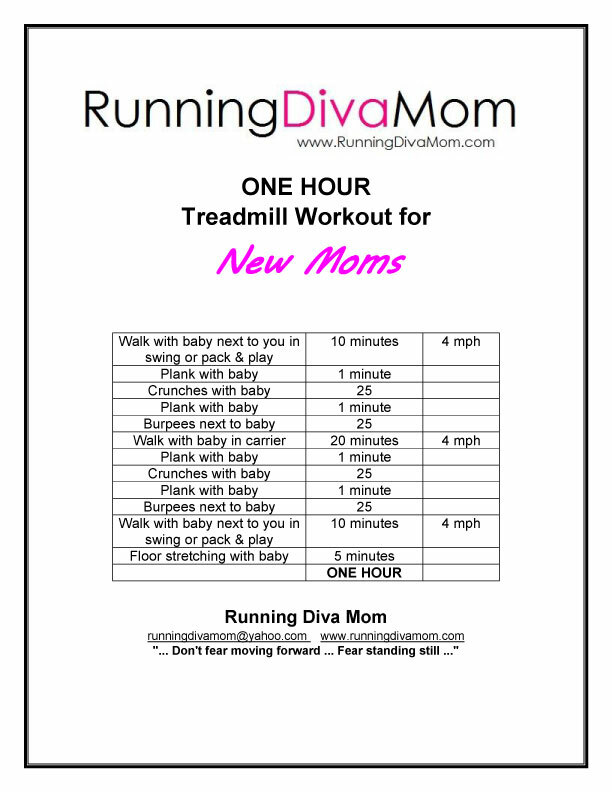 This is a great option for new mothers that are looking at getting back into a fitness routine after having their baby. New mothers should always have the approval of their doctor before starting a new fitness routine. As runners most of us just focus on our mileage and distance. But stretching, core work and cross-training also should be incorporated into our routine. 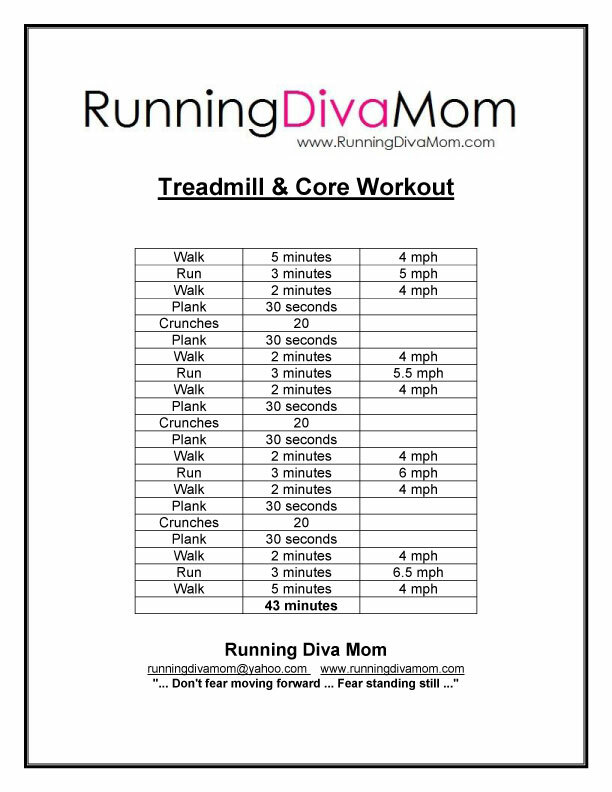 It can be so easy to squeeze in our scheduled mileage on the treadmill or around our neighborhood. But as soon as we hit stop on the treadmill or our stop watch, it's easy to tend to our families or chores around the house. Instead of scheduling thirty minutes of running and twenty minutes of core work or cross-training, trying blending everything into one routine. 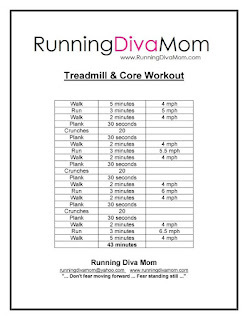 Here is a sample blended treadmill and core workout. All you need is 45 minutes to get a well-rounded workout done. Talk about multi-tasking?! Complete this workout three times a week - ideally every-other day. After week one, bump up your planks to one minute at a time and try switching your crunches to burpees or increasing the number of crunches. One custom training program with virtual coaching (up to five months). 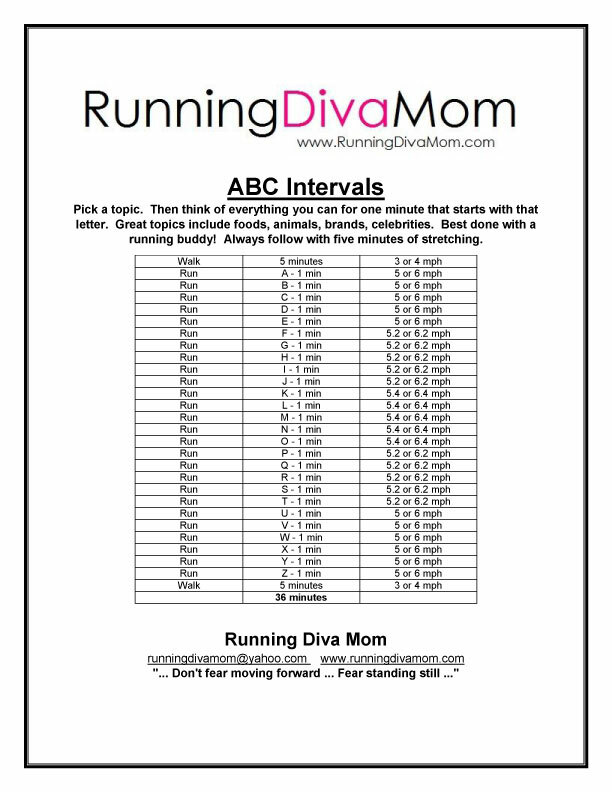 Three long runs with your coach (up to three hours each). Two custom training programs and virtual coaching (one spring and one fall); twelve individual running sessions with your running coach; unlimited virtual accountability groups (12-15/year). This package can be invoiced monthly at the rate of $70/month. 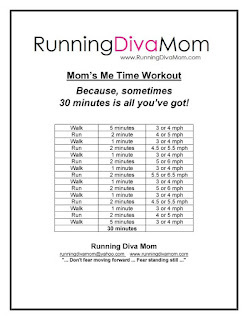 Running Diva Mom is a Road Runners Club of America Certified running Coach. 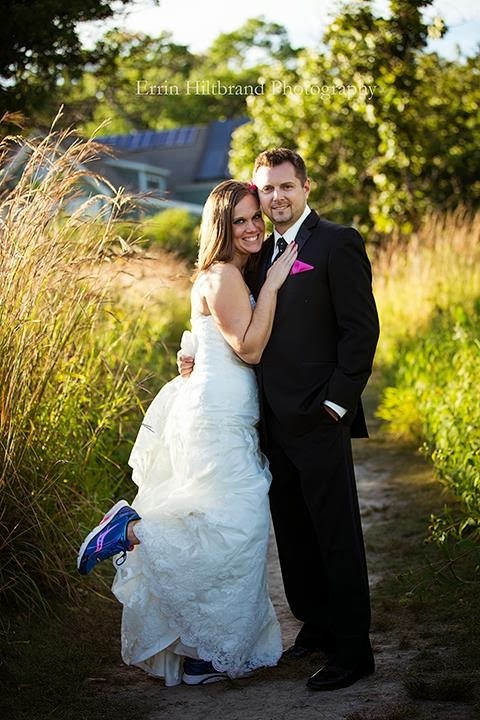 Jamie offers custom training programs for Couch to 5K, 10K, Half Marathon and Marathon events. She has worked with more than 600 women and children in the Madison-area, as they have trained for their first 5K and beyond. 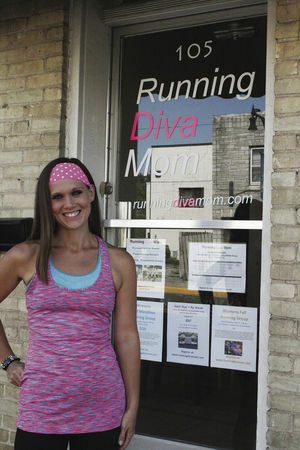 She also owns an indoor running studio for women in Sun Prairie. 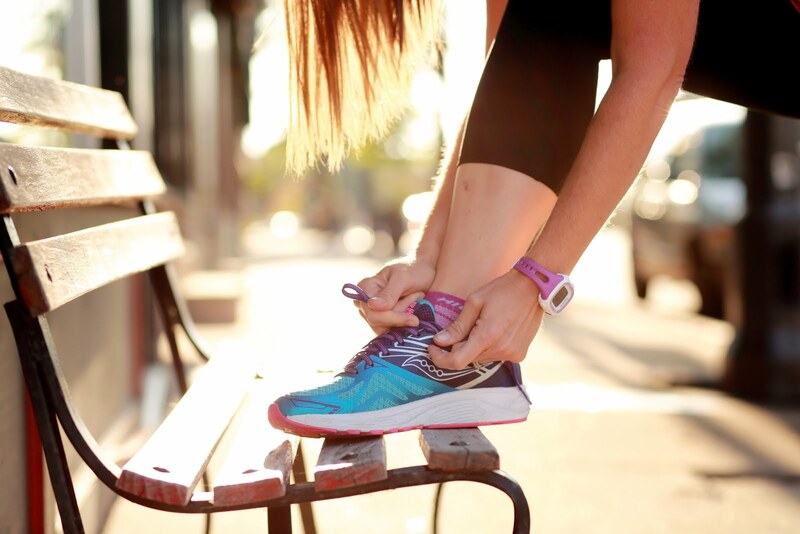 Virtual coaching options include weekly check-ins and motivation via text and email from your running coach (for the duration of your package - up to five months). Virtual coaching also includes a CUSTOM training program, designed to help you achieve your goals around your other personal commitments. Individual short training sessions include a one hour active running and stretching session with your running coach in the Madison, Wisconsin area. Dates/times/location will be determined by the running coach and the runner. Individual endurance training sessions include a two to three hour active running and stretching session with your running coach in the Madison, Wisconsin area. Dates/times/location will be determined by the running coach and the runner. Please contact Jamie at runningdivamom@yahoo.com if you would like more specifics or to pay by cash or check. 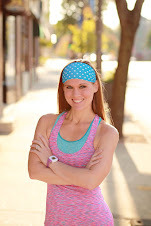 Please visit www.runningdivamom.com to review other program options: treadmill training, outdoor running groups, virtual running/weightloss accountability groups. 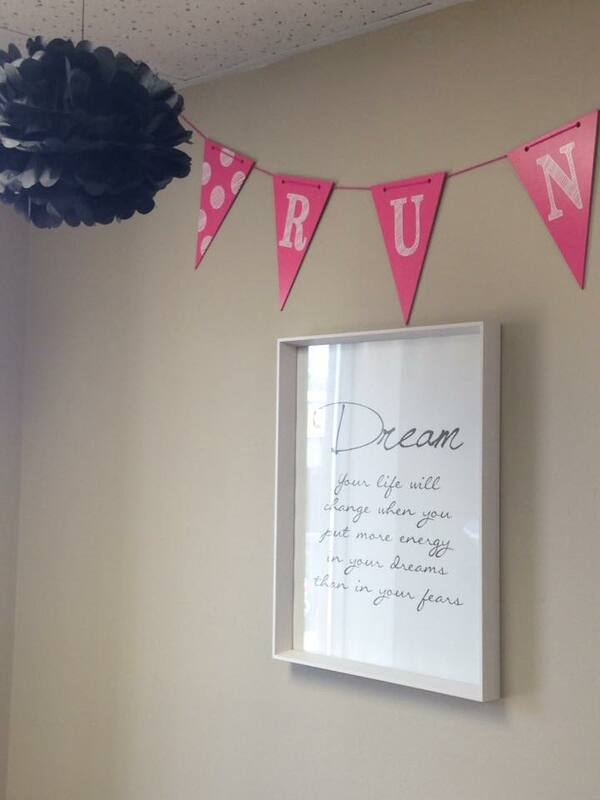 This running group is designed to take runners from the 5K to the 10K in eleven weeks. We will meet together approximately once each week. Parks/locations will rotate in Sun Prairie, Deforest and on Madison's Eastside. Class starts on Saturday, March 11. 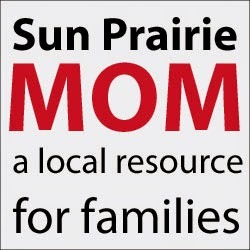 First class will meet at Orfan Park in Sun Prairie. Class meets for twelve weeks at 7:00 am on Saturday mornings. There will be class, but no instructor on April 1. A full training program with locations will be sent to participants during the week of the first class. Must be able to run/walk 30 mins at first class. 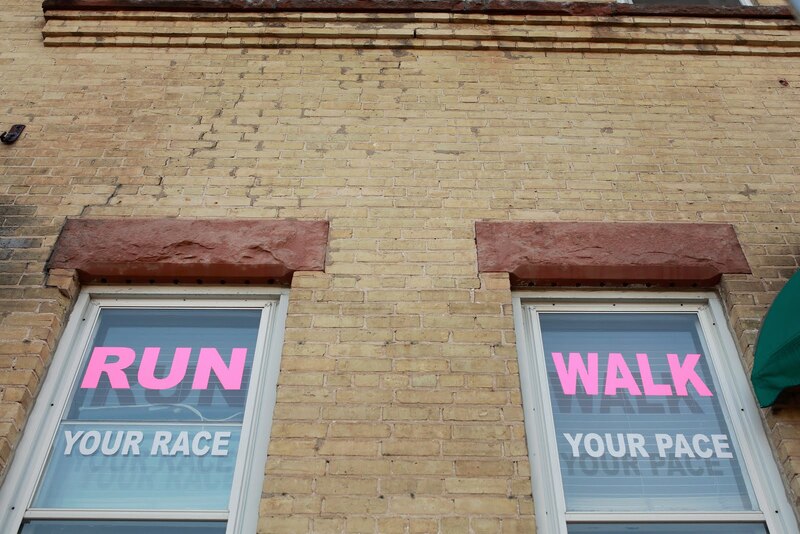 We will be training for the Run Madtown Twilight 10K in Madison on the evening of Saturday, May 27. This race is optional and is not included with your session registration.